This week’s BIGcast brings in OnApproach’s CEO, Paul Ablack, to talk with John Best about his vision for the credit union industry. The second episode of the Data Lake BIGcast Series, Data Lake: What It Takes, discusses how the creation of an industry-standard data lake could completely revolutionize the credit union industry. 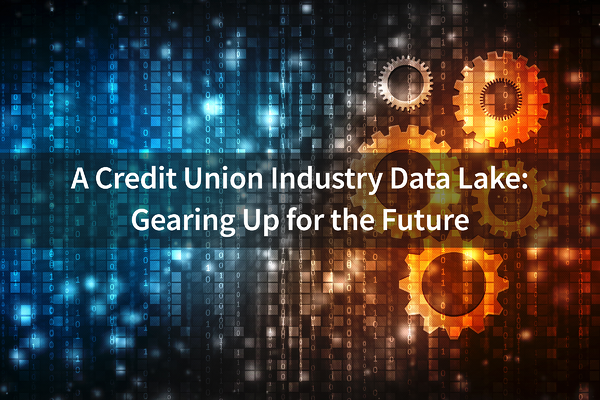 Paul goes into depth on the capabilities of a data lake and how this transformation is not only beneficial for credit unions, but the entire community. Data is extremely valuable for all the initiatives underway. The big challenge for credit unions is the integration of that data and putting it to the correct use. Our mission is to bring all that data into one place and make it easily accessible for not just credit unions, but the industry as a whole. We call this the CU App Store, where app developers and vendors can come in and create an app that credit unions can use to perform analysis (i.e. models of attrition, outreach, and predictive analytics). I’ll tell you one other thing we do which is different from most other data lakes. Because of the normalization of the data to CUFX, it gives us a tremendous advantage as we avoid the ingestion process of that data. Users of our lake skip this complex process because the data is already mapped and fits well together to make sense…The CUFX is a data standard for everything, making the data one common language that works on the lake and the application programming interface (CU App Store). Managing different types of data from a plethora of sources poses credit unions with a difficult challenge. That is, it is difficult to find a way to store and extract data in an efficient manner. The answer to this lies in the consistency and manner of data uploads taking place. In other words, a higher frequency of data uploads in a shorter amount of time would yield more accurate and up-to-date data. The best example I can give you is Netflix. If you had to handle that many queries at one time with a normal relational database it could get really slow. Single-threaded databases like that can cause the queries to get lined up behind each other. In the Hadoop world, they can replicate this data across multiple nodes (computers). The nodes all sit in a central network with access to all the data…Imagine a wall containing all of these nodes, and users can go in and access them. They are so fast that they can handle a lot of these queries simultaneously. You now have more information at hand about your credit union than ever before. But are you using it to "out-think" your rivals? If not, you may be missing out on a potent competitive tool. Educate subscribers about data integration and Big Data and Analytics. Provide tips and best practices.